Livigno is located 1,816 metres above sea level and locally known as the "Little Tibet" of Italy. 14 km long valley is located between the valleys of Engadina in Switzerland and Alta Valtellina in Italy. Valtellina, Alpine valley of the upper Adda River, 120 km long, in Lombardy, North Italy, extending from Lake Como to the Stelvio Pass. The Valtellina and the Engadina are lands of glaciers which time and nature have sculpted into impressive ice cathedrals. During the summer, Livigno offers its visitors the perfect opportunity to spend their holidays in an unspoilt environment at one with nature. Spend your days hiking and rambling through the green valleys along paths which will take you to the mountain tops of the National Parks of Stelvio and Engadin. The main towns are Sondrio, Tirano, Chiavenna, Morbegno, and Bormio. 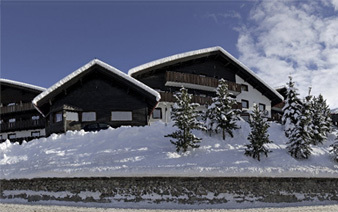 Trepalle, a community in the municipality of Livigno, is considered Europe's highest inhabited parish. Trepalle is a paradise for trekkers on foot, mountain bike or horseback, going into Vallaccia, Val Tréla or Val da Tort. In the winter, Trepalle is an immense open blanket of snow, sheer heaven for alpine skiers, snowboarders, telemark skiers. Many trekking and bike excursions are organized during the summer months. Tirano, last train station of the line Milan - Tirano, is the starting station of the spectacular Red Bernina Express train that ends in St.Moritz. The Bernina Express climbs 70% inclines to an altitude of 2,253 m with views over the Morteratsch glacier and the Bernina group.